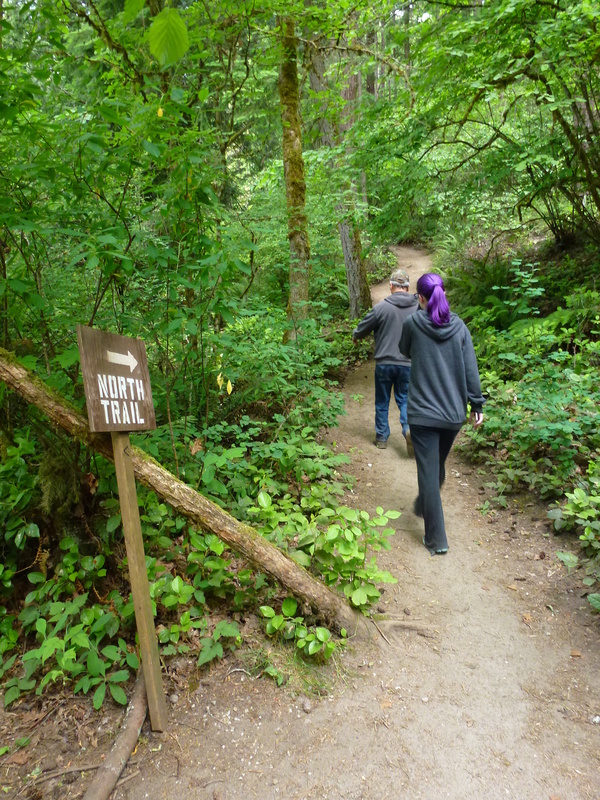 Hiking North Trail | The Happy Wonderer ~ ellen b. 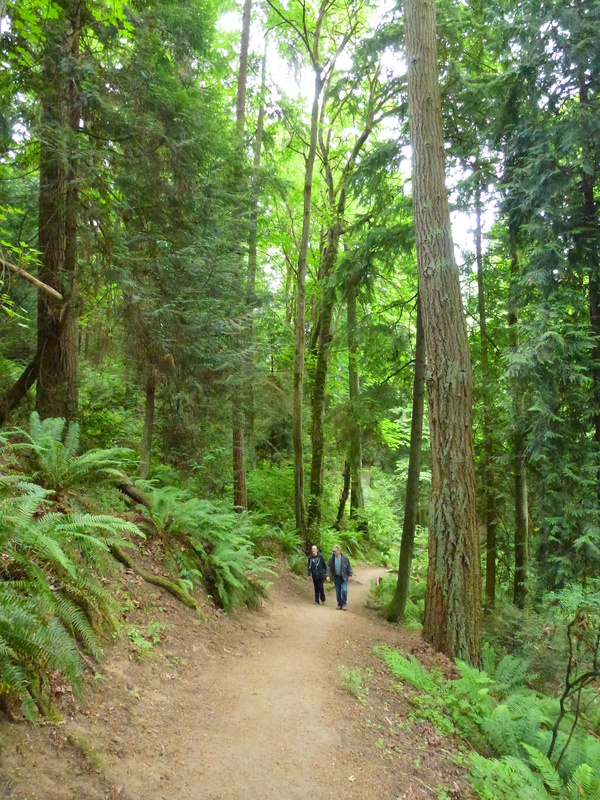 On May 31st we hiked the North Trail at Saint Edward State Park. 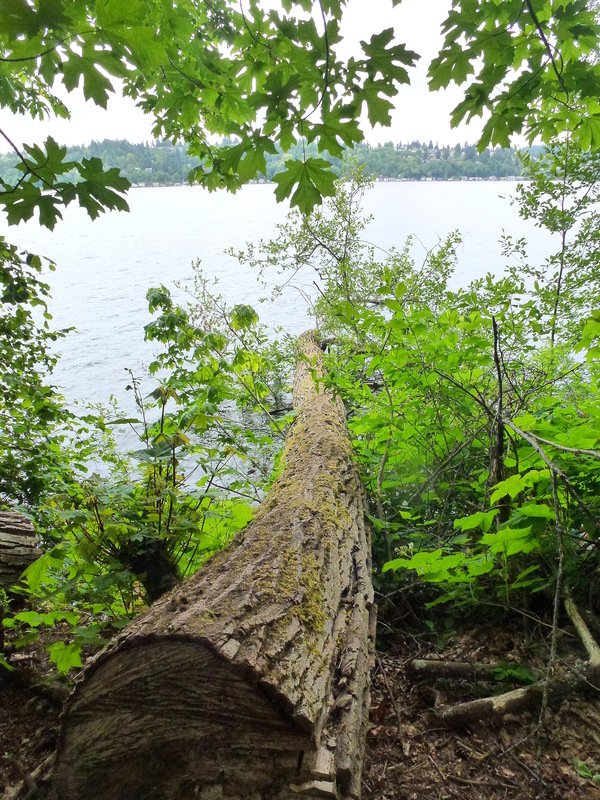 The park’s 316 acres are located in Kenmore and Kirkland in the state of Washington. 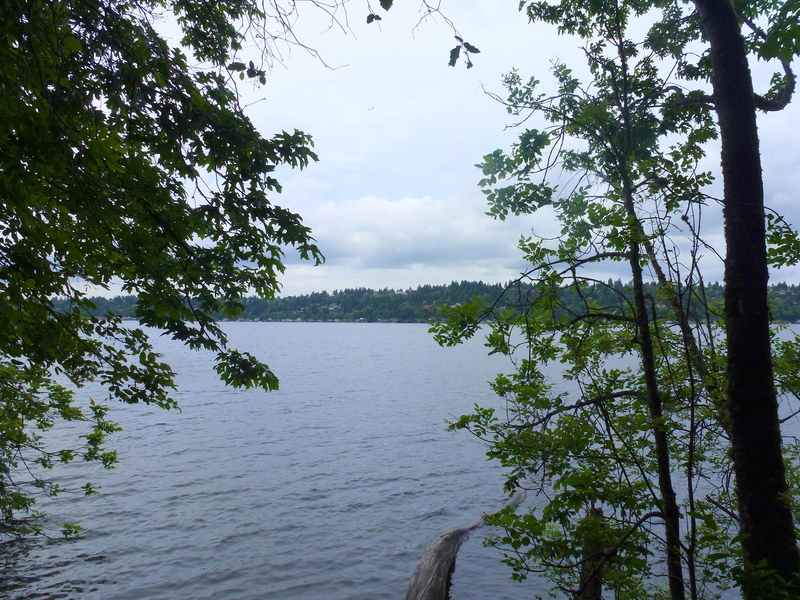 It also is set on the north eastern shore of Lake Washington with 3000 feet of freshwater shoreline. Smiling at the bottom of the trail even though we knew it was going to be tougher going back uphill to the car. 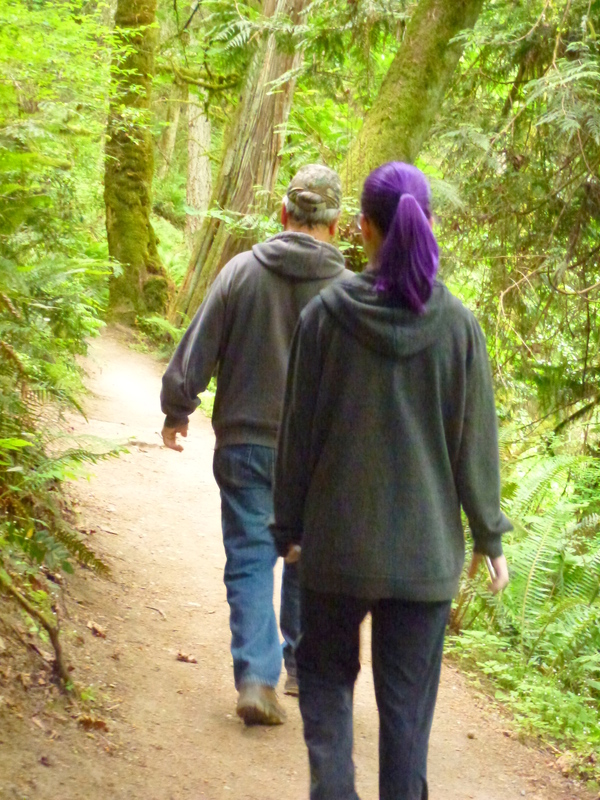 If you go to Saint Edward State Park you will need your Discover Pass or pay for day use. 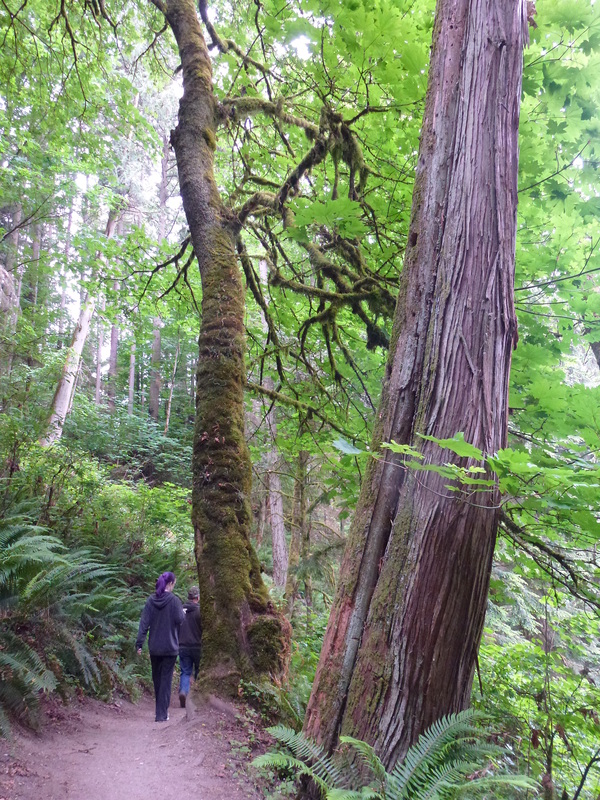 Here’s another post on Saint Edward State Park with it’s history. I’m watching World Cup Soccer as I type. World Cup is something I look forward to and the pressure is off since the USA did not qualify. Boohoo. The USA, Mexico and Canada were awarded joint hosting of the 2026 World Cup which was exciting news just before World Cup 2018 began this week. Wonderful news for North American soccer fans. If you are a father reading my blog this weekend a very Happy Father’s Day to you! 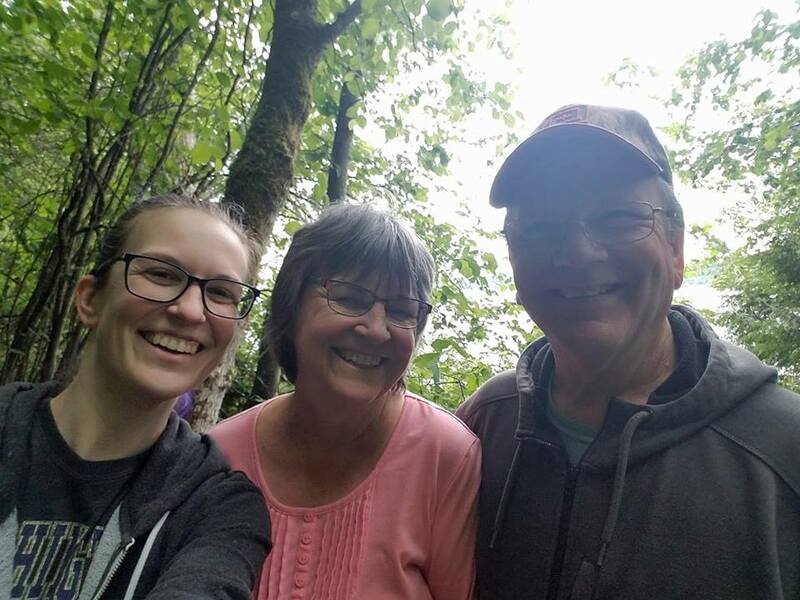 Posted on June 16, 2018 by Ellen •	This entry was posted in Hiking and tagged Father's Day Weekend, Kenmore, Kirkland, Lake Washington, Saint Edward State Park. Bookmark the permalink. …looks like my beloved Adirondacks! 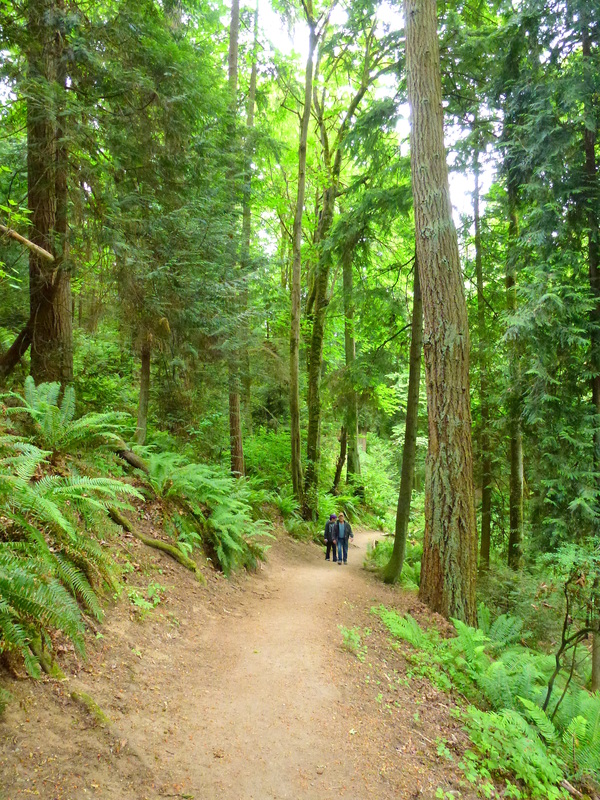 What a gorgeous area, looks like a perfect hiking trail and the last photo is super. Have a great weekend Ellen. Hello, looks like a pretty trail. I love the forest and the lake views. Enjoy your day and weekend! I’ve always wanted to go hiking, but my fear of having to go to the bathroom and over consumption of “Dateline NBC” episodes about hiking trail murders has kept me home!😃 Probably best to go in groups like you guys! It really looks like a lot of fun! Hi Ellen, What a lovely place to hike. Thanks for sharing the pics. I hope you have a blessed Sunday. Ellen – looks like a popular trail, it’s so wide compared to what I am used to! My hubby was watching the England-Tunisia game today and was thrilled with the win! Enjoy the rest of your week!